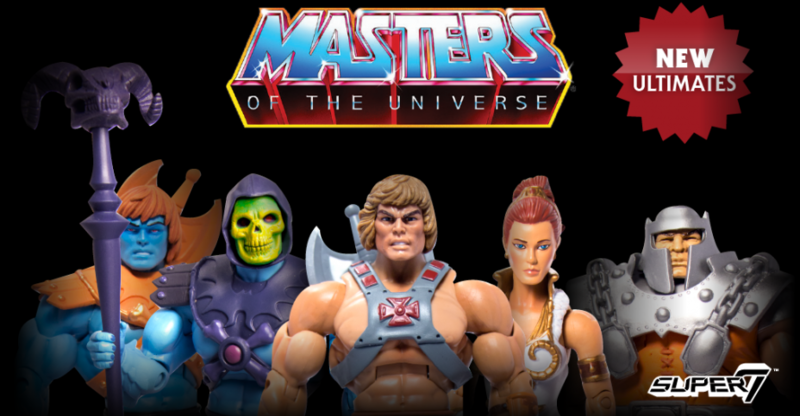 A huge update was posted by Super 7 regarding their upcoming Masters of the Universe Ultimate Figures. The figures, which went up for pre-order last year, have finally arrived in the U.S. The shipping containers are currently awaiting inspection by customs. They should be shipping out within the next few weeks. 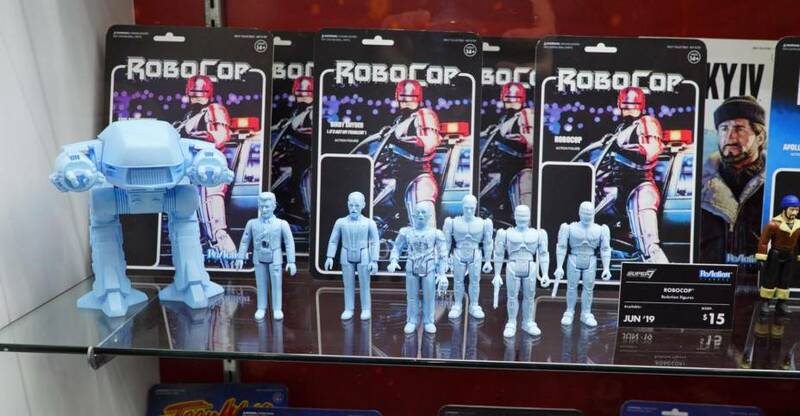 The bigger news, however, has to do with the packaging for the figures. For reasons you can read about below, the decision was made to produce the figures in packaging that will not be resealable. Check out the full update below. 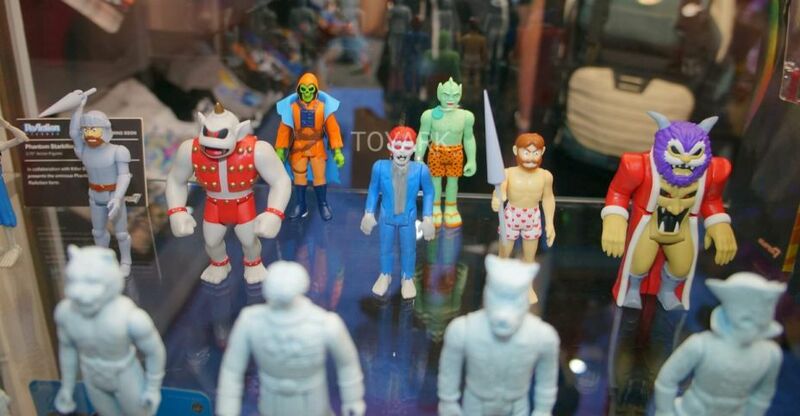 Attention MOTU Friends and Fans! 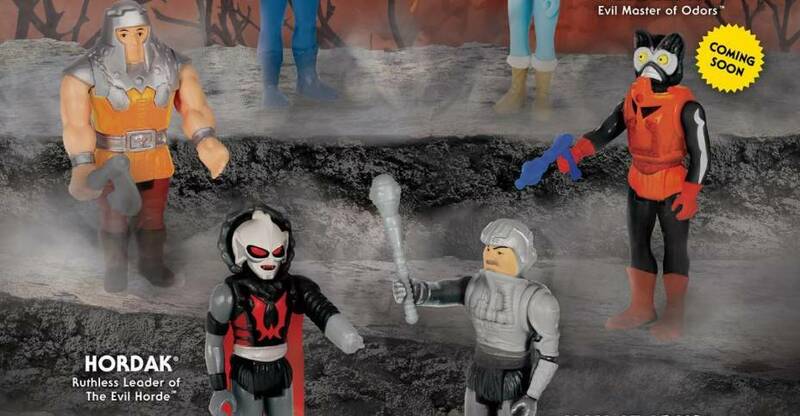 At long last, the Masters of the Universe Ultimates figures are nearing the end of their journey into your hands! The figures have made the long ocean trek to the Port of Oakland, where they are currently waiting to clear customs inspection. This process will take 3-10 days depending on the level of customs inspection they get assigned, and following that, they will go to our shipping facility to be sent, at last, to you. We expect to begin shipping orders to you beginning on July 20th (or earlier! ), and for the shipping process to take several days to get the large volume of orders out to everybody. Shipping confirmations, including tracking numbers, will be sent out for each order as they are shipped. 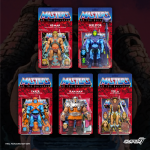 We cannot overstate how greatly we appreciate your patience as we built up our infrastructure and process around taking over the MOTU Classics line! Thank you again so very much for hanging in there. We are very pleased with and excited about these figures and can’t wait to get them into your hands. We have also received some questions about the blister packaging for the Ultimates. Our original intent was to package the figures in a resealable clamshell blister. In the production of the figures, the original model for the resealable blister failed the packaging drop test in safety testing, and the factory was not willing to proceed without modification. At that point, creating new molds for a revised resealable package would have added 4-5 weeks to the production schedule, and we were already rushing to get these figures into your hands. So we made the choice to instead use a vintage MOTU inspired, heat-sealed blister package so we could avoid any further delays. Again, we want to thank you all once more for your support and patience, and assure you that your figures will be in your hands in the coming weeks. We love them and hope you do too! 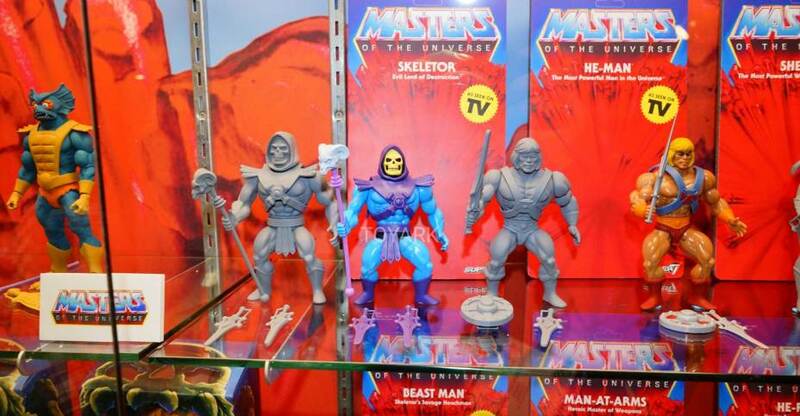 Final packaging designs have been revealed for the Masters of the Universe Ultimate Figures by Super 7. The image showcases the full card back layout, complete with accessories. Pre-order for the figures has officially ended, so we hope all fans who wanted them were able to pick them up. 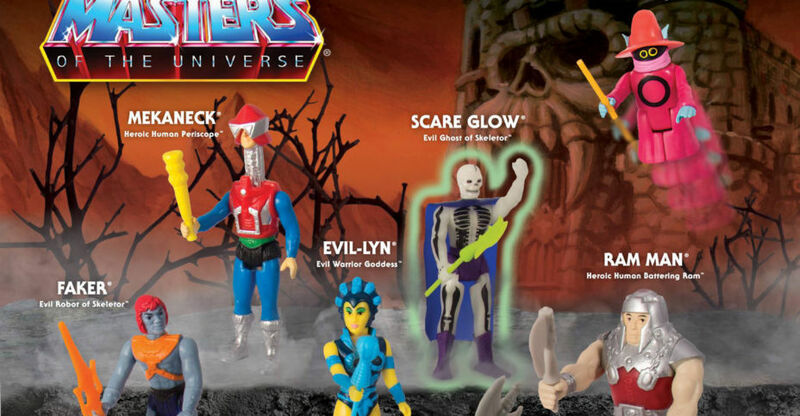 Hi MOTU Fans! 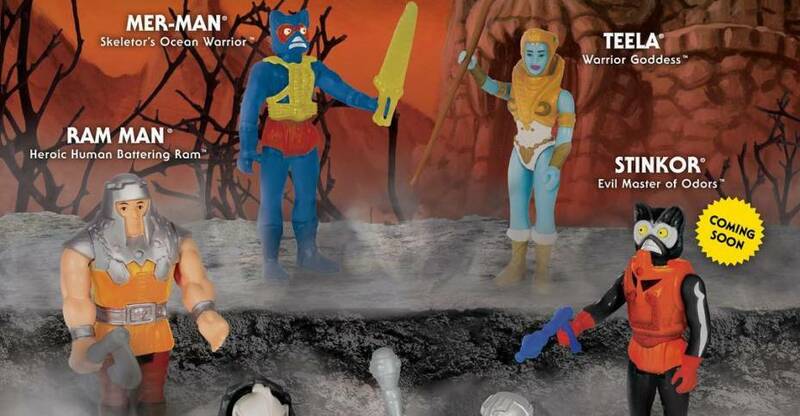 We wanted to share the final packaging of the MOTU Ultimate Figures with you. 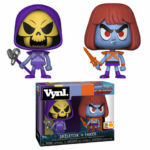 He-Man, Skeletor, Faker, Ram Man, and Teela will be blister packaged with their accessories on a vintage style exploding background backing card and logo treatment. Included with each character is a mini-comic style backing card with the character bio on one side and a brand new mini-comic cover style artwork on the other. The back side of the backing card will have all new character action artwork across the top on a classic 8-back influenced design. Packaging is also resealable! Click the thumbnail to see all of the figures in their packaging. 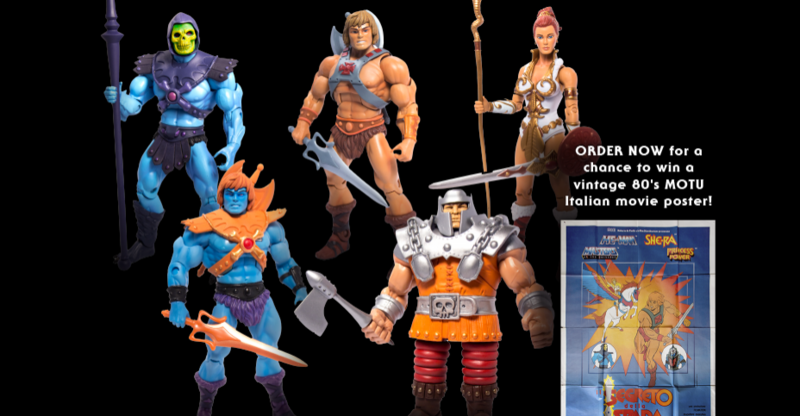 At the last minute, Super 7 has extended pre-orders for their upcoming Masters of the Universe Ultimate Figures. This is great news for those who thought they were going to miss out. They have been looking into a solution to lower the shipping cost for International customers. As they await word, they have extended the pre-sale by a few days. Pre-orders will now end on December 4th at 11:59 PST.